Elizabeth received her B.A. from Florida State University and earned her Juris Doctor from The University of Pittsburgh School of Law. During her first year in law school, Elizabeth clerked for Judge Kahn in the Northern District of Florida. She worked primarily on appellate Social Security Disability cases. Elizabeth became interested in the practice of family law while in school and was accepted into the prestigious Family Law Clinic run by the University of Pittsburgh School of Law. While working at the Family Law Clinic, Elizabeth was certified by the Supreme Court of Pennsylvania to provide legal services to underprivileged litigants. The time she spent working for disadvantaged clients in Allegheny County solidified her interest in family law. After graduating, Elizabeth became a member of The Florida Bar. She worked solely in the area of family law, handling Dissolutions of Marriage, Modifications, Paternity Cases, Child Support and Child Custody cases, as well as Domestic Violence cases. While practicing in Florida, Elizabeth volunteered as a Co-Chair of the Bay County First Saturday Clinic which offered legal services to indigent litigants. She also regularly wrote family law articles in the Lynn Haven Ledger to help keep the public informed about changes family law. 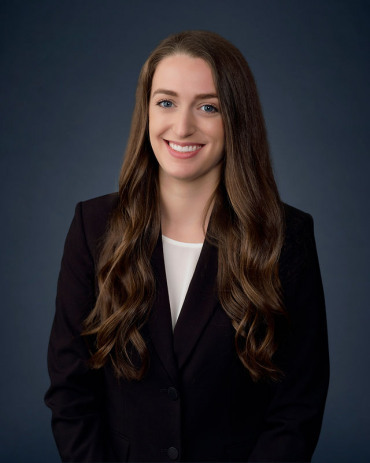 After living and working in Florida for over two years, Elizabeth became a member of The Georgia Bar and joined the talented team of Atlanta Divorce Attorneys at Meriwether & Tharp, LLC. Elizabeth is a zealous advocate for her and focuses her representation on meeting her client’s individual needs. She has successfully represented clients in divorce cases, custody disputes, child support and alimony modifications, as well as family violence actions.